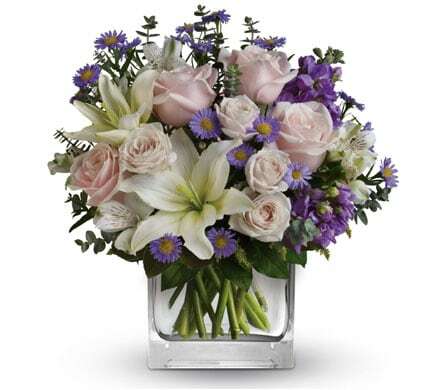 Deep in delightful Dapto, Avondale Florist will ensure your floral future is bright, offering speedy, same-day delivery to a variety of public institutions, including churches and places of worship, medical facilities, hospitals, assisted-living centres, funeral homes, cemeteries, and retirement villages. We offer delivery to many churches and religious institutions in Dapto and adjacent suburbs, including Albion Park Anglican Church, Baptist Union of New South Wales, St John the Evangelist�s Catholic Church Dapto, Saint Luke�s Anglican Church, and The Crossway Church Dapto. In addition, we provide service to numerous local retirement villages and nursing homes, among which are The Abbey Nursing Home, Coniston Nursing Home, Highlands Community Centres, Anglican Retirement Village, and Blue Haven Village Kiama. Included in the hospitals and medical centres that we service are Dapto Medical & Family Practice, Lawrence Hargrave Hospital, Wollongong Day Surgery, Shell Cove Family Health, and Centre Health Complex. We also deliver to an array of cemeteries and funeral homes. Among these are Pioneer Rest Park and Cemetery, Lakeside Memorial Park, East Kangaloon Cemetery, Southern Highlands Funerals, and Sacred Funerals. Avondale Florist have a magic touch, except, instead of pulling rabbits out of hats, we pull out beautiful bouquets, which will take any special occasion to the next level. Provethat romance is alive and well with our intoxicating �Anniversary� arrangements. �Artistic Expression� is the truest expression of your undying love. A unique assortment of lilies, gerberas, and bamboo-like canes, �Artistic Expression� will show that a picture is worth a thousand words, but your love is worth a whole lifetime. Even better than a genie in a bottle, �Make a Wish� will brighten anyone�s birthday. Mix-matched, colourful roses, fun, funky flowers, and a box that embodies good times, the best thing about �Make a Wish� is that as soon as you receive it, your wish has already come true. With its modern arrangement of popping peach roses and bright, springtime flowers, �One Fine Day� is just the start of a life time of sunshine. A divine area, Dapto is a suburb of Wollongong located to the west of Lake Illawarra, and has a population approaching 10,000 people. European settlement occurred in 1834 when George Brown founded the suburb, and the nearby area of Brownsville is named in his honour. The name Dapto is said to be derived from the Aboriginal word meaning �water plenty�, and with its laidback, lakeside atmosphere, it�s not difficult to see why. If you're looking for specialised flower delivery services, Avondale Florist has you covered! We can provide delivery to a number of facilities in the Dapto area. Same day delivery is available for orders placed before 2:00pm Monday - Friday and before 10:00am on Saturdays. We can deliver to most hospitals in and around Dapto. We will endeavour to have your hospital flowers delivered but some hospitals have strict policies about flower and gift basket deliveries. Check with the hospital before sending flowers to ensure they can be delivered. Many patients recovering from surgery, seriously ill or in ICU cannot receive flowers and gifts. Alternatively, we can arrange for delivery to the recipients home when they are discharged from hospital.